I am a big fan of breakfast food, but it’s rare that I take the time to make something other than a bowl of oatmeal on most mornings. The one thing I love, however, is throwing together a great potato hash dish on a weekend morning. It’s a wonderful way to clean out the fridge and is always so hearty and satisfying. Mine usually consist of potatoes, peppers, onions and anything else that happens to be lying around that might make a good addition – mushrooms, sausage, anything goes! So a corned beef hash for St. Patrick’s Day is naturally right up my alley. Plus, I am not a fan of cooked cabbage at all, so this is a win-win in terms of getting my corned beef fix for the holiday. 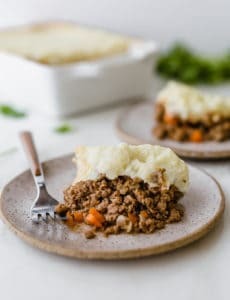 This honestly couldn’t be an easier recipe to throw together, which is perfect for sleepy mornings! Just chop up a little bit of onion, your leftover corned beef, leftover cooked potatoes and if you do happen to be a fan of cabbage and have some left over from your corned beef and cabbage, chop that up and throw it in too! It goes without saying that this would make an awesome breakfast-for-dinner as well! 1. Heat the butter in a large cast iron skillet on medium heat. Add the onion and cook for a few minutes, until translucent. 2. Add the corned beef and potatoes, and spread the mixture out evenly in the pan. Increase the heat to high or medium high and press down on the mixture with a metal spatula. 3. Do not stir the potatoes and corned beef mixture, but let them brown. If you hear them sizzling, this is good. Use a metal spatula to life up a corner to see if they are browning. Once nicely browned, use the spatula to flip sections over in the pan so that they brown on the other side. Press down again with the spatula. If there is too much sticking, you can add a little more butter to the pan. Continue to cook in this manner until the potatoes and the corned beef are nicely browned. 4. Remove from heat, stir in the chopped parsley. Add freshly ground black pepper and salt to taste. Tossing in fresh garlic slices and a few fresh sliced jalapenos when cooking the butter is what I’ve always done. Making a burrito w/the hash and finely sliced cabbage and, of course, cheese has become a family and friend favorite … San Patricio burritos! I love making hashes. I always throw leftover veggies from the week in with the potatoes. This recipe would be great with jalapeños, I think. Yum! I’ll have to try it with my left over corned beef! I love corned beef hash! One of my favorite indulgences on weekend mornings. A lot of times I find corned beef has too salty, so thanks for giving me a recipe that I can try at home. Your ratio of corned beef to potato looks spot on. This is the kind of dish I would love to wake up to on a weekend morning. Meat, potatoes…good. This looks excellent! I’ve always wanted to make hash! Looks like a great recipe!! 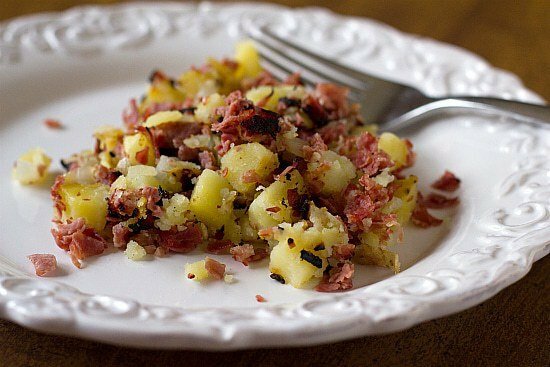 My grandmother used to make her own version of corned beef hash…I really miss it. Totally unrelated, where did buy the dish/plate that is pictured above? Hi Laura, I actually got it at Marshall’s. I love shopping for unique kitchen plates and serving pieces there! Perfect breakfast for St. Patty’s Day! Yum! 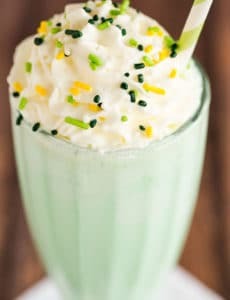 You’re on top of the St. Patrick Day recipes girl! Another great one. I’m a big fan of breakfast food too, but rarely take the time to make anything other than oatmeal :) This looks like a fun one to have for a St. Paddy’s Day breakfast! I haven’t had a good hash in so long! This is definitely a great and festive breakfast for tomorrow’s festivities! I loved corned beef hash with hot white rice, a poached egg and some ketchup and soy sauce. Sounds weird- but its a go to combo for people in Hawaii! This looks wonderful! I love corned beef hash with eggs over easy. Yours looks perfect! It’s just the way I like it with equal amounts of corned beef and Yukon gold potatoes! This looks 100x better than the canned version and SO much less sodium. How could anyone eat that crap after seeing this?! Ahmazing. 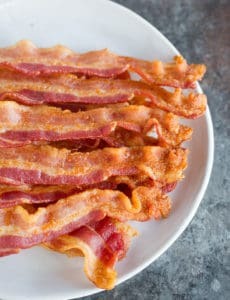 Oh how I wish I had a nice plate of this today!!! Looks great! While I am not a huge fan of corned beef, my husband still pines for the corned beef hash he would get in the dining hall in college, so I know he would absolutely love this dish! 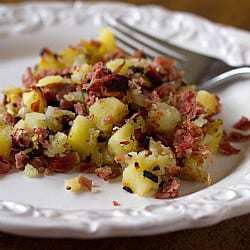 Corned beef hash has got to be one of my top favorite things to eat in the whole world! I used to have something similar to this when I was growing up and loved it! Great recipe. This is perfect for St. Patty’s Day! Definitely know what I’ll be doing with my leftover corned beef. Yum! How perfect for St. Patrick’s Day! Absolutely! The thing I love about breakfast hashes is how versatile they are.